Shamsu Miah Choudhury was Member of Provincial council elected from Awami League . As the elected local representative he was active in Non-cooperation Movement begin from 3 March, 1971 ad was in local resistance fight from 26 March. In 28 April, when he came to know that the Pakistanis are approaching, he moved with his wife and 21 day old child. The other male members of the house also left for other village for the safety of the women and children. 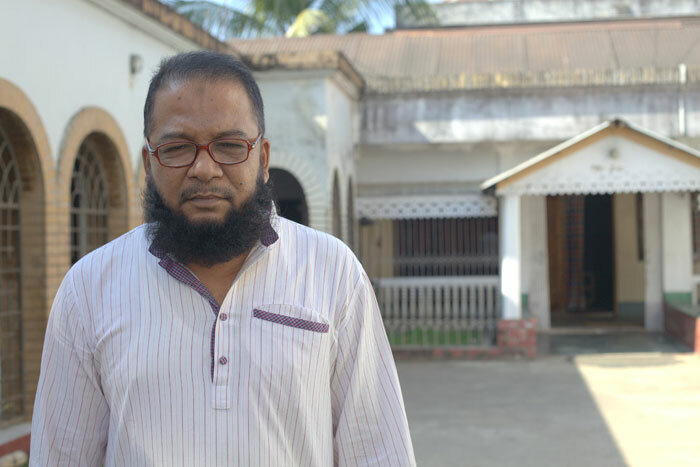 Shamsu Miah’s father Maynah Miah and Brother Samuj Miah stayed back home. Shamsu Mia’s nephew Moazzem Hossain Choudhury (Suja) was nine/ten years old. In his reminiscence he says- on 28 April, the Pakistani army approached Chatak after they destroyed Sylhet and the Razakars welcomed them. One of them Maolana Fazlul Karim from Muktirgaon identified their house. The Pakistanis torched their house. When Maynah Miah came out, they have shot him. Watching his father’s shot dead body, Samuj Miah also came out and tall Samuj Miah fought with the Pakistanis empty handed. However, Pakistanis killed him with bayonet charging and shooting. The dead bodies of son and father was interred secretly. Pakistani officers turned this house and the house beside this into their camp. The soldiers stayed around the road. After the war, their skeletons were removed and was buried in front of the house with respect. 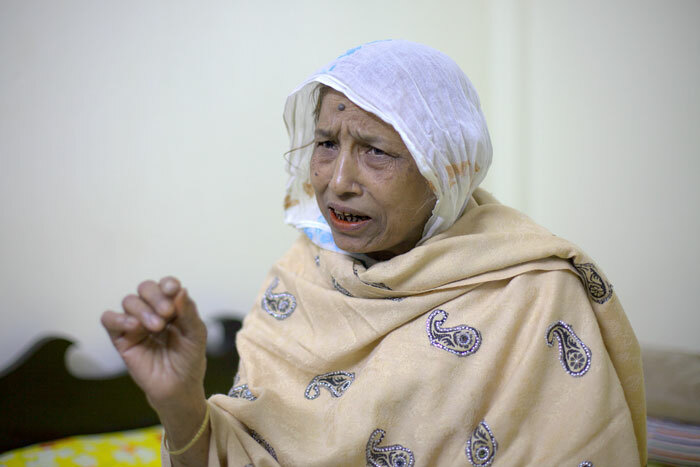 Rezia Begum Choudhury, wife of Member of Provincial council Shamsu Miah left her home for the fear of Pakistani army, with the new born of 21 days. Crossing the Haor in the dark of the night, they rushed towards Sunamganj. The Pakistani army fired at their boat. They had nothng for the new born to eat with them. After they reached Sunamganj, a freedom-fighter arranged milk for the baby. The day Pakistani army air stroked over Sunamganj, they were narrowly escaped. She reached her father’s home from Sunamganj to Netrokona via Jamalganj. Right after she reached the news of the killing of her father in-law and brother in-law and searching for the other members of the family arrived. Upon hearing this terrible news they moved to Maheshkhala, of the Dharmapasha of the border of Netrokona and Sunamganj. 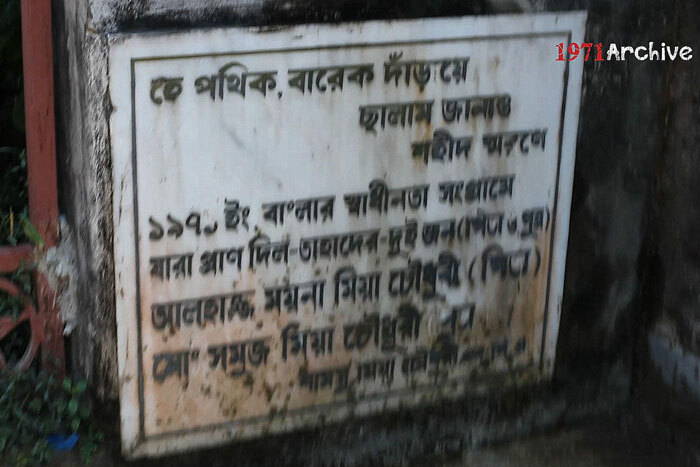 Remote Mahashkhola was the camp of freedom-fighters. Some MPs from Sunamganj, Netrokona and Kishorganj took refuge there in safe. The Pakistani army tried to capture this camp a number of time without avail. 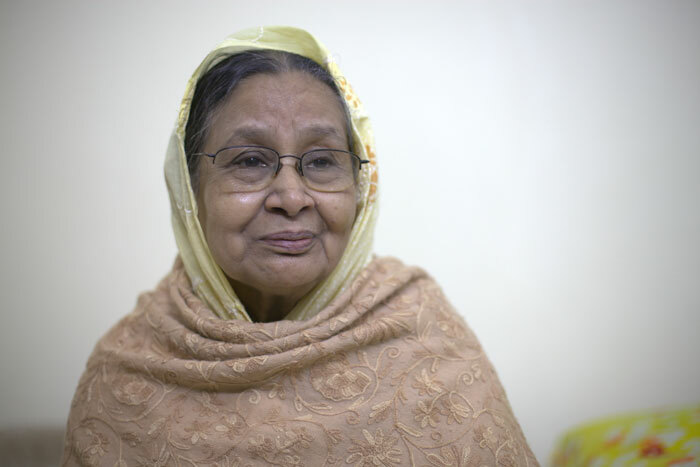 The rest of the period of the fight for freedom, Rezia Begum Choudhury stayed in this camp with their children. The experience of the days was terrible. They wouldn’t eat fish even though they were living in the marshy area, people would die eating the fishes as food of the fishes were dead bodies of the Bengalis.